When August and September roll around, it feels just as hard for you to leave Fluffy or your salamander farm as it is leaving your parents. Companionship from your pet is needed during a stress-filled college semester. But not every college extends the welcome mat to your barking bestie. After all, a furry friend makes for the perfect therapeutic outlet during exam week and tedious group projects or even a terrible heartbreak. For students feeling like they need a four-legged companion while in school, these 10 colleges are worth a look. Check out the top 10 pet-friendly universities in 2018. You can’t bring along your furry, scaly or feathery BFF to this gorgeous Virginia campus, but you can bring your horse. Sweet Briar College sets the standard for collegiate riding with their award–winning equestrian program that values all riders, from beginner to advanced. 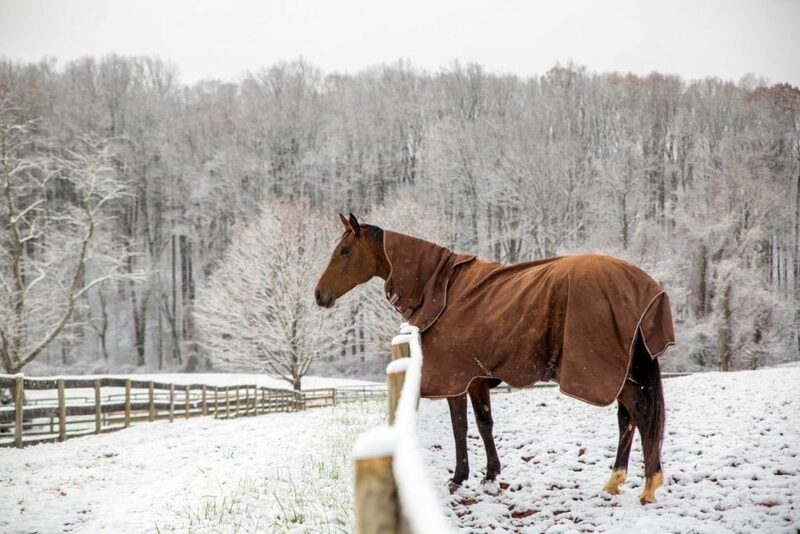 “[The riding program] provides the horses with top notch care and attention,” Sweet Briar College sophomore Lily Peterson said. “Students also have the opportunity to bring their own horse at a reasonable cost or ride quality school-owned horses every day.” Only a mile from Sweet Briar’s main quad, the Rogers Riding Center offers one spectacular outdoor classroom. Field riding courses and trail riding are just a few memorable ways to take advantage of this living laboratory. With about 3,250 acres dedicated to horses, 18 miles of trails in diverse terrain, many open fields and indoor and outdoor rings, you just might enjoy your best bud’s living quarters more than your dorm. The State University of New York, Canton has a special home for animals of all stripes. Although residence halls don’t allow dogs in the Pet Wing, other pets like cats, hamsters, gerbils, guinea pigs, turtles and fish make can become your new favorite roommate. “The pets we all had definitely helped us bond with everyone,” recent graduate Brittni Zack said. “You could be walking around to get your cat from someone’s room and then suddenly you have a new friend.” Part of the university’s goal of promoting a family-like atmosphere is to allow cats to roam freely in the wing and organize activities like “cat yoga” which is exactly what you’d expect..
Don’t have your own furry friend to cuddle? Visit the on-campus animal barns at the University of Connecticut in Mansfield, Connecticut to explore and learn more about the 1,000+ animals, like cows, horses and sheep, that are cared for right in your backyard. If that doesn’t make your tail wag, consider joining Paws and Claws to meet other pet owners raising money for local animal shelters, or one of the 12 other animal-related club, like the equestrian team or pre-vet club. Interested in making your pet passion a career? UCONN offers an Animal Science major with concentrations like Equine Science, Animal Biotechnology, Pre Vet and more. Share your dorm space and graduation fame with your furry pal at this Pennsylvania campus. 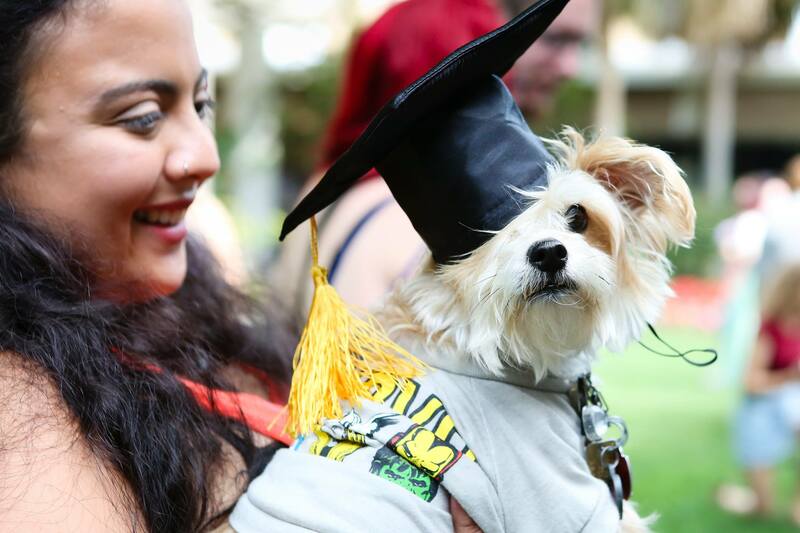 With tiny caps and tiny gowns, well-behaved pets can walk the stage and even receive their own diploma during commencement. Washington and Jefferson’s love for pets isn’t all pomp and circumstance, either. Bring your family pet as a plus one in Monroe Hall, a.k.a. the Pet House, and head out to the dorm’s large lawn, where you can catch a breath of fresh air while Cooper chases his tail. The low-temp Pennsylvanian climate makes the perfect community for quick mid-winter playtime and provides a great opportunity for meeting other puppy pals and neighbors. At this small liberal arts school, back to school shopping can mean picking up pet supplies in addition to an extra pack of loose leaf paper and light jacket. Before 40-degree weather blows over for the winter, head off to the shore for a day of fun in the sun with your companion at Compass Rose Beach, or one of the many dog beaches and countless other dog parks close to campus. 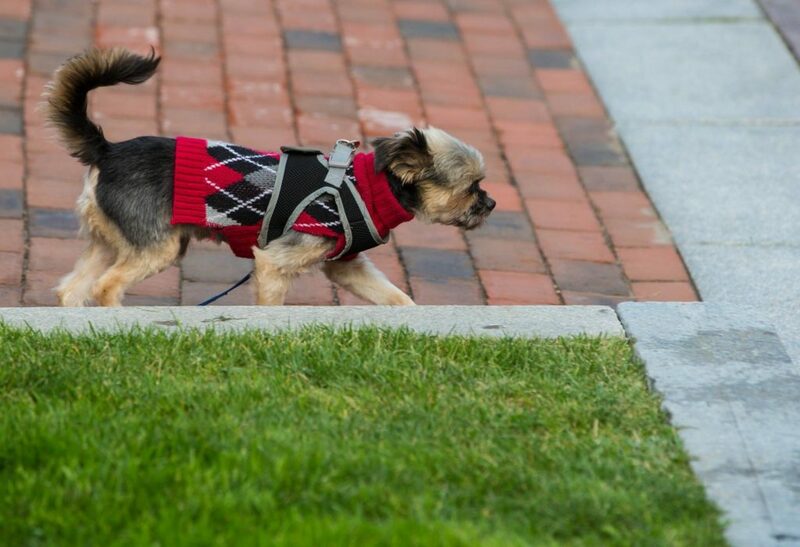 Along with dogs, JWU permits rabbits, chinchillas and other exotic pets in Harborside Village, Harborview, Renaissance and Snowden Hall for you and your barking bestie to hunker down. Looks like the University of Northern Colorado caught Fido fever. In hopes of bridging the gap between the home and the heart, this suburban Colorado campus allows students to bring a piece of home with them. Lawrenson Hall allows dogs and cats to live on three of its dormitory floors on campus. With the Rockies visible from your dorm room window, how could you not spend a little time outside? Although the Greeley area has a strict ban on dogs in parks and major outdoor destinations, you and your furry friend can still get plenty of fresh mountain air at one of the 11 dog friendly parks that surround campus. With so many options, you don’t have to scratch your head on where to take your best friend for a game of fetch. Sometimes even your pets need to let loose. And Stetson’s warm weather makes anytime a good time for a quick game of frisbee at Stetson Cove on-campus dog park. Chat with other pet owners at one of the parks, or join Providing Animals With Service (PAWS), a service organization on campus that dedicates itself to helping animals. But, what about pets in dorms? Stetson says, “Heck, yes!” A variety of pets (even Dino the Duck that wears a diaper) are allowed in two of the on-campus residence halls, Nemec and Stetson Cove. “Having my pup so excited when I come home from class or practice is just a great confidence boost that gets me through the day,” Stetson University sophomore Molly Kelly said. Kelly proves that campus critters are a doggone good way to relax. Not only are students at Lees-McRae allowed to bring pets to live on campus, but faculty, staff, and students are also encouraged to bring their pets almost anywhere–even class. “It’s an amazing feeling when you’re walking around campus and you pet a dog, or sometimes a cat, and you see a few dogs playing together while their owners do homework, ” Lees-McRae senior Jerica Mayberry said. Who said pet-friendly living limits you to just one residence hall? Baldwin Hall, Bentley Hall, McMillan Hall, and on-campus apartments and houses all cater to students who may need companionship of the four-legged variety. When you don’t have class or a study sesh, grab your leash and explore the many pet-friendly trails and parks surrounding campus with a view from the middle of the Blue Ridge Mountains of western North Carolina. Can’t bear the thought of leaving your pet at home? No worries. 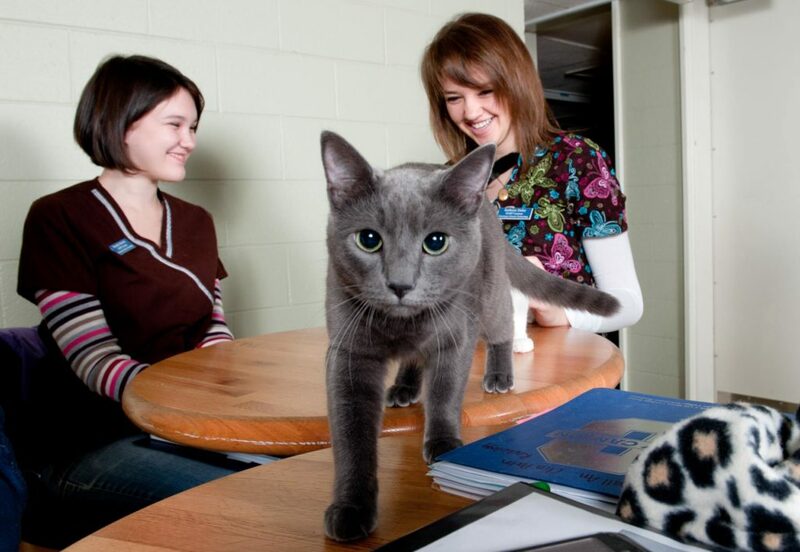 Stephens College has extended the welcome mat to students’ pets for more than 10 years. Combining standard dorm amenities with a pet-friendly policy, Searcy Hall, also known as “Pet Central”, has a doggy daycare center for your fur baby when you have to make a run to class. “Being an out-of-state student, my pup helped me adjust to a new place,” Stephens College freshman Hailey Ehr said. “She forced me to straighten out my schedule and remain organized, so I have time for her.” Unable to bring a pet from home? Stephens College created a foster program so you can still have the advantages of coming home to a wagging tail. You can reward it with a quick doggy treat from the president’s office when you get back to your dorm. Eckerd College lives by the philosophy that students should bring a part of home with them. An extensive list of animals can reside in 14 of the residential halls. Your next-door neighbor could be Bella the chocolate lab or even Daffy the duck. Eckerd designated pet owners and non-owners alike to the Pet Life Staff to make sure students follow the guidelines outlined for their pets. “Meeting all the other cool pets on campus, like hedgehogs, snakes, ferrets, rabbits, lizards and even spiders is a one-of-a-kind experience,” Eckerd College freshman Sonny Schoenhoft said. Eckerd even holds an honorary graduation ceremony each spring where each pet shakes hands, or paws, and receives a “diploma” from the college president. How do you get a tiny cap to stay on a hedgehog’s head, you ask? Just use a bit of string. Kaylin Purvis is a Junior at the University of Florida studying Public Relations. She enjoys anything from traveling to makeup and fashion. Even though her passion lies in writing and beauty, she is an even bigger fan of watching sports.